At 08:30 AM I visit the MoT Service Center in Harnet Avenue for my travel permit to Keren. Still the permit is not finished due to missing data. As a regular visitor to Eritrea my agenda for Keren is blanc. My eritrean friends will always welcome me with "Our house is your house", so there is no argument for hotel reservations. For MoT I have no specific data, means of transport, hotel name. But the MoT needs the data to finish the permit. No permit without a well specified trip. Because I am staying at a private address in Asmara, they also need a copy of the Eritrean ID of my host. I make a call to Dawit to explain the situation. He tells me a copy of his ID is availabe in the house. I have to ask Luwam. 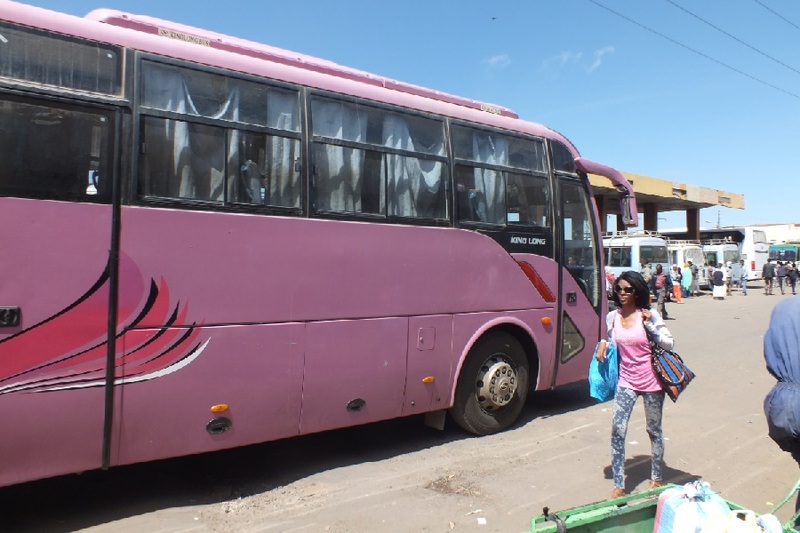 I return to the house to add the missing document and add the mode of transport (bus) and hotel (Yohannes Hotel) to the application for the travel permit. I can collect the permit in the afternoon around 04:30 PM so it will be in time to leave to Keren tomorrow morning. To kill the time, I plan a walk to Bar Jima via Gejeret. When I pass a renovated apartment block at Sematat Avevue someone addresses me that making pictures is not allowed. I am a bit annoyed by the delay of my travel permit. 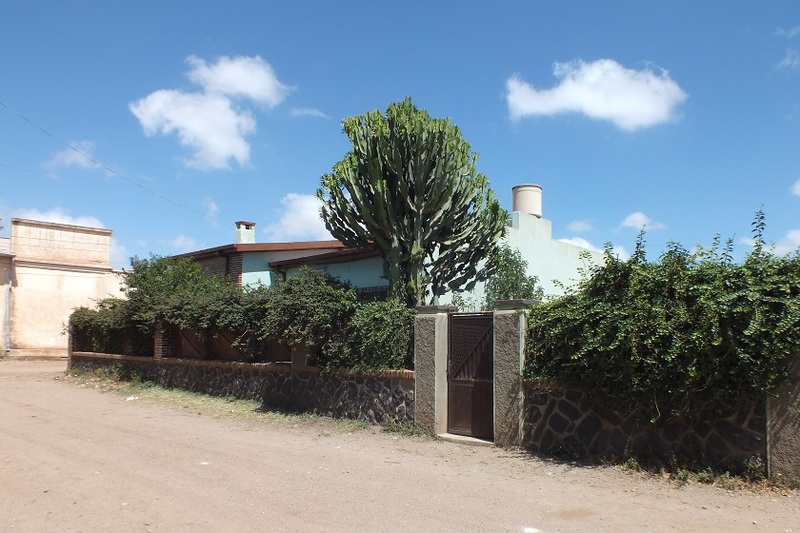 The comments of the Eritrean on my attemp to picture a completely innocent building causes an emotional explosion. I start a discussion with the guy. If it is forbidden to picture the building I am committing an offence and we should go to the police right? "Why make trouble?" he responds. I tell him he is making trouble and I am prepared to go to the police with him if the wants to. He is gone without any further comments. Some other Eritreans passing by observe the discussion. Without any doubt they would have choosen to support me in case of trouble. I experience these kind of discussions incidentally every time I visit Eritrea. I guess the the rancorous behaviour is caused by the fact that the Erireans have been betrayed by the US various times, and any white-skinned tourist will pay the price for dollar guided US foreign policy. It remembers me of an e-mail I receiced in June this year from the US (I copied Brians words with his explicite permission). I forgive Eritreans for not liking Americans because our misguided government paved the way to their subjugation, but from the soldier's and sailor's personal (and frequently outspoken) point of view, our country's meddling was helping support an oppressive foreign government to the detriment of the people who really owned the country. And we didn't like it one bit. Anyone who was ever in direct contact with us could never dispute our heart-felt feelings of pity and frustration, but they'd be greatly outnumbered by the masses who didn't know us personally and can only judge us by our government's misguided efforts. If I were in their sandals I'd feel exactly the same. In-fact sentiments were so strong and so well dispersed among us, that we were actually ordered to not ever engage in any political talk..., but we did, and at every chance we got. A few times we crossed the lines and were made an example of, and/so that kind of kept the very open displays of protests down to a low, general growl. I remember in 1972, when Haile Selassie came into Kagnew with pomp and circumstance and he stopped at the army commissary (store, PX, exchange, etc.) to raid anything he wanted to take, and a young dependent girl employee walked right up to him and gave him absolute Hell for what he was doing to 'his' people. He was shocked and alarmed and the girl was immediately snatched up, her unsuspecting father and mother were located and snatched up and they were all whisked away to sit GUARDED at the airport to await the very next flight out. Their possessions had to be gathered up by friends and packed to go back to the US, and I know in my heart-of-hearts that that man's military career ended abruptly that day (and not nicely either). But defiant we remained. I remember receiving a list of places that were off-limits to any soldier or sailor when I first got there, and I tucked it away and kept it as my travel itinerary. I would like to add, ANYWHERE I went, I was always well received, and I learned just how wonderful the people of Eritrea could be. I even climbed the Bizen mountain-top abby during the big pilgrimage (I was invited), and came away from that a humbled person from everything I saw and participated in. In 1973 (against direct orders from the woman XO/JAG;-), I married Immebiet (Maria) Yeras. The court martial that was drafted in retaliation to my defiance was waylaid by my commanding officer, because he knew Maria and personally approved of my marriage (he actually said to me that they could file all they wanted, but that he was so careless about paperwork, he already knew that it would be lost and not re-started until after my enlistment was over;-). See, like ANYBODY else in the world, one should never be judged by the actions of their government; only judge an individual by the actions they each choose to make. I can't say that everything we did as immature kids over there was defendable, it wasn't. We were all at that age where playing pranks was great fun, but almost to the man, we were in GREAT sympathy with the oppressed people in their own land. Such was the heritage we all inherited from our forefathers hundreds of years ago. Someday, I would love to go back and try to re-trace some of my lost youth, but in my heart-of-hearts, I already know no one can ever re-live a life. None-the-less, I will always cherish that life I lived there and all the wonderful people I was forced to leave behind. At least I still have my best friend Maria to remind me just of how wonderful Eritreans can be. Really nice site, keep up the good work. I continue my walk to Bar Jima where my sadness on the morning experiences is completely washed out by Eritrean politeness and helpfulness. I visit the bar that gives the Bar Jima area its name. An old Eritrean with an Italian background starts a friendly conversation with me. He tells me that Bar Jima is a 75 years old bar (the oldest in town?) that has witnessed a lot of Eritrean history. He shares memories of his life, the struggle for independence, family details and more with me. We drink a few glasses of araki to add to the joy. He offers me a drink. I feel ambarrassed as a tourist. "No! Today you are my guest. Please come back when you have returned from Keren to tell me about your visit." After my visit to the bar I walk through the Bar Jima area (adjacent to Godaif) snaking the streets. Nothing special to see, so I decide to walk to Bloko Godaif to turn to the left to Kahawta. From here I follow the Ring Road where some urban housing projects have recently been finished. 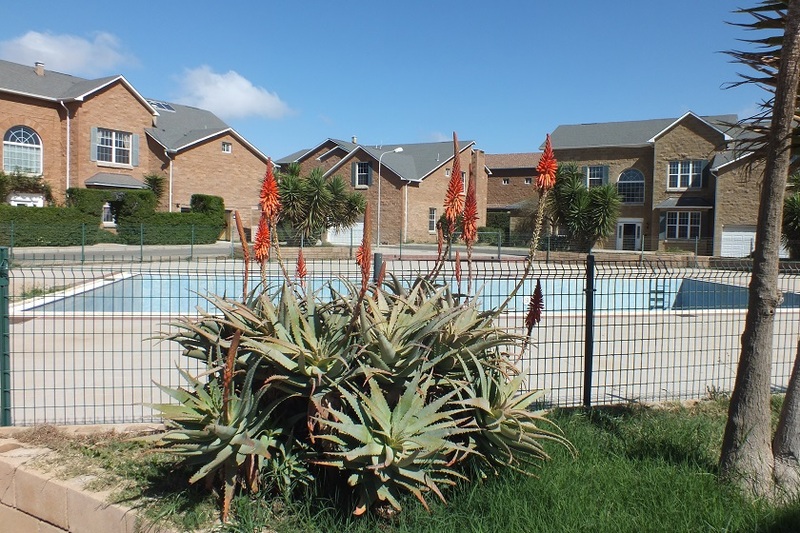 Modern villa quaters, apartment blocks and offices, and even an outside swimming pool. The compound is guarded by private guards, and I am kindly requested to return to the Ring Road. It is extremely hot today. Just when I am starting to regret the fact that I choose to walk to Bahti Meskerem, instead of taking a bus, a tank truck sounds its horn. The drivers asks where I am going. When I tell him my destination is Bahti Meskerem he insists that I will accept his offer to give me a ride. "It is far from here!" I know it is far, and I need the exercise, but I also have to show my appreciation as well, so I get in. 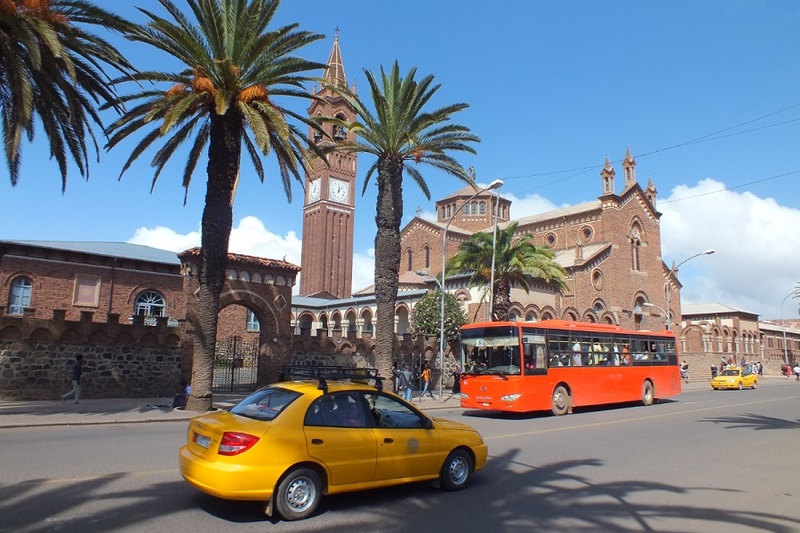 We drive to the Ferovia area, not far from the Nda Mariam church and the Center of Asmara. I suggest we drink some coffee. The driver should resume his work however. 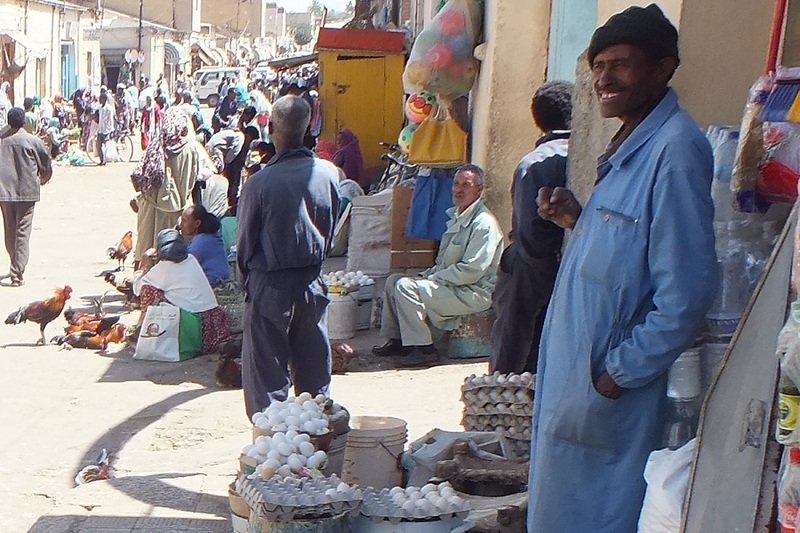 I spend the rest of the afternoon drinking fruit drinks and strolling the center of Asmara. At 04:30 AM the travel permit is not avaiable yet. "Don't worry. It will come. They are late." I wait in the office for almost an hour, and then finally the permit arrives. I am ready for tomorrow's visit to Keren. 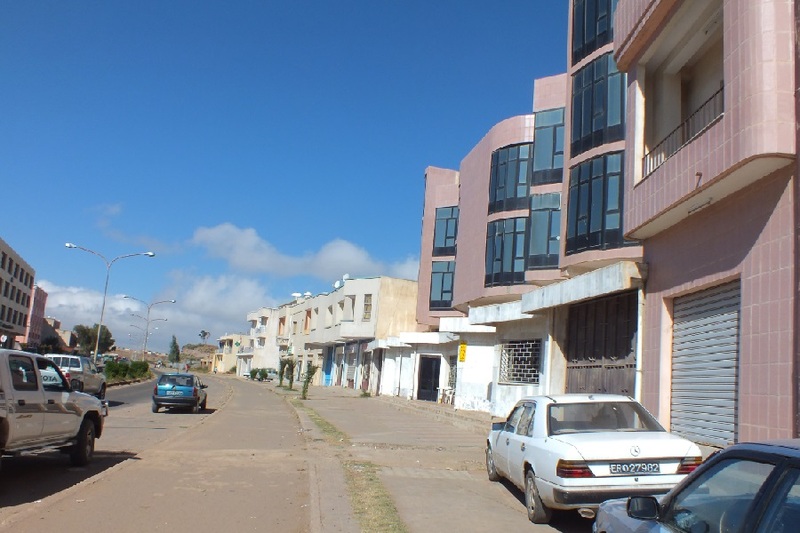 Appartments - Sematat Avenue Asmara Eritrea. 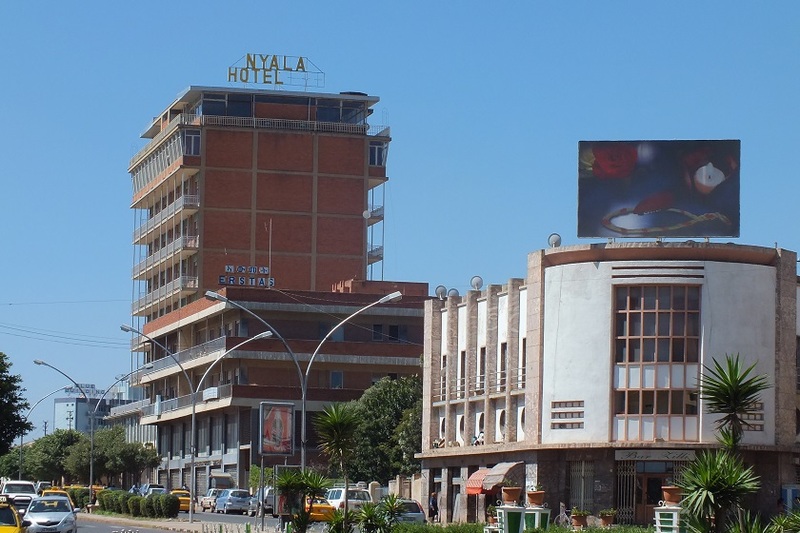 Nyala Hotel and Bar Zilli - Sematat Avenue Asmara Eritrea. 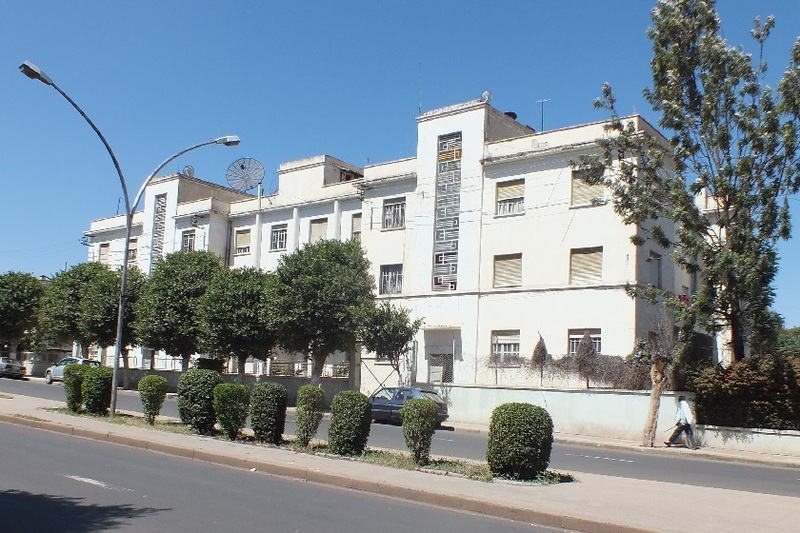 Villa - Mai Bela Avenue Asmara Eritrea. 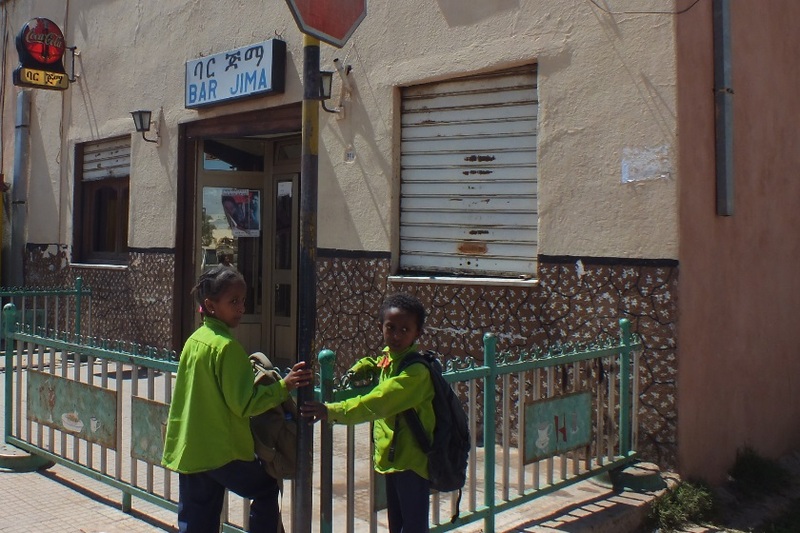 Bar Jima - Bar Jima Asmara Eritrea. 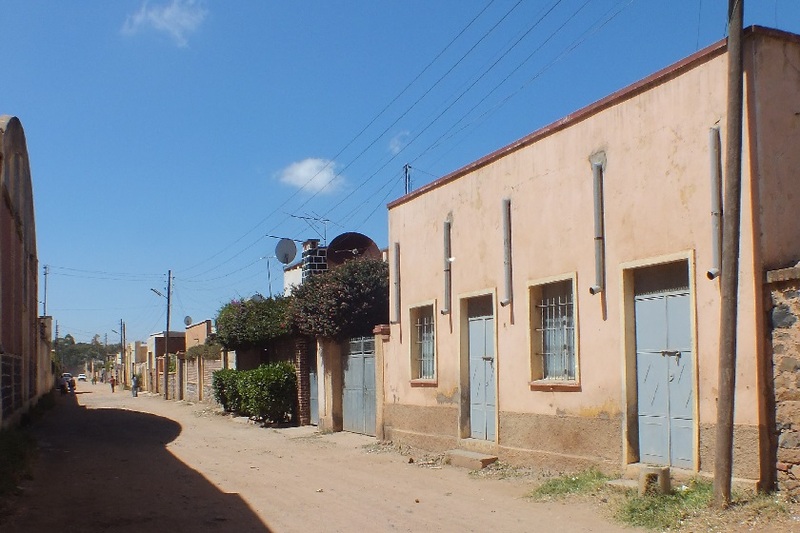 Residential houses - Bar Jima Asmara Eritrea. 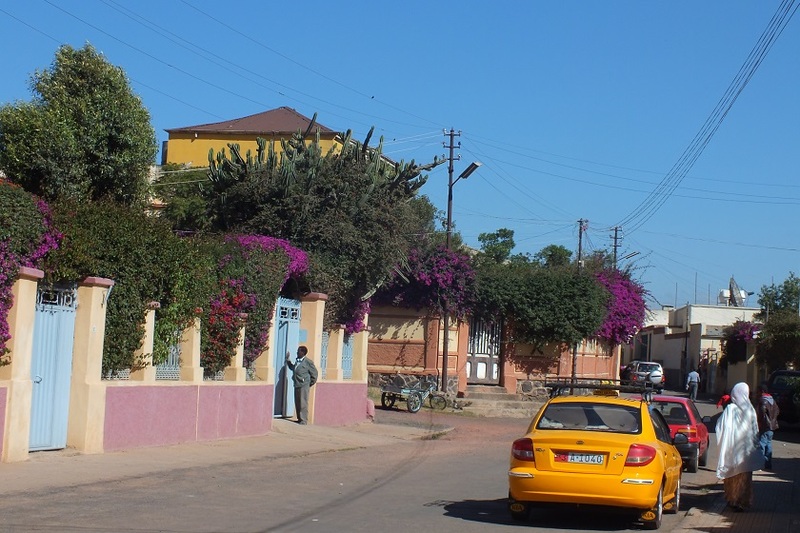 Villa - Bar Jima Asmara Eritrea. 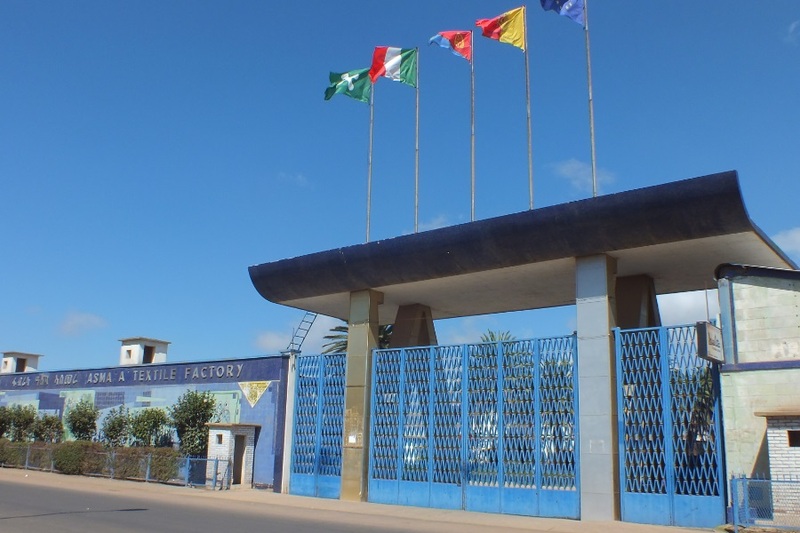 Asmara Textile Factory - Tegadelti Street Asmara Eritrea. 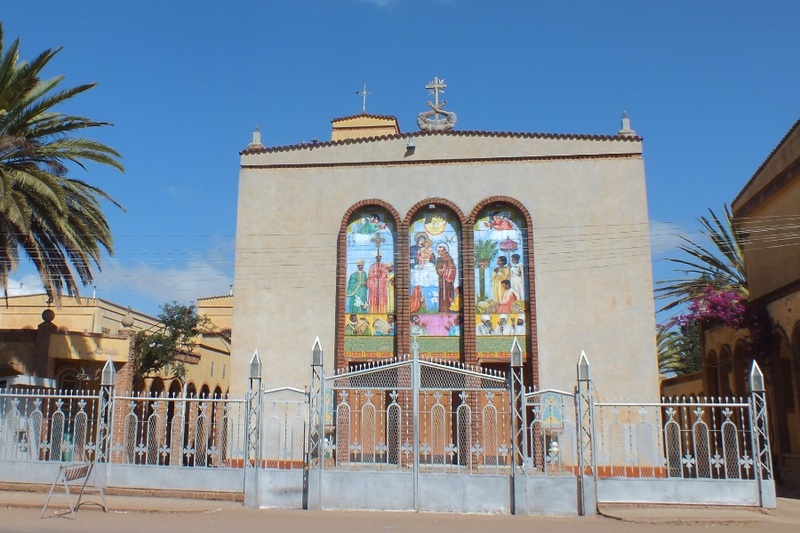 Santuario di San Antonio church & monastery - Godaif Eritrea. 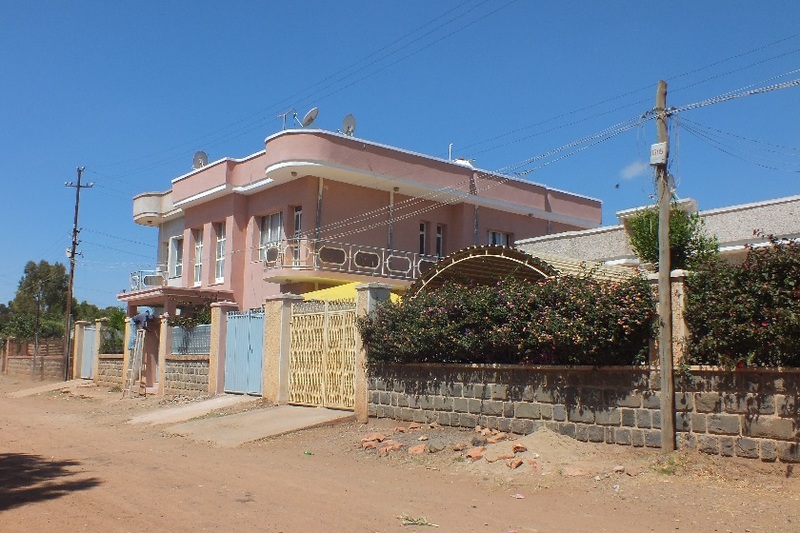 Residential houses - Kahawta Asmara Eritrea. Private swimming pool - Kahawta Asmara Eritrea. 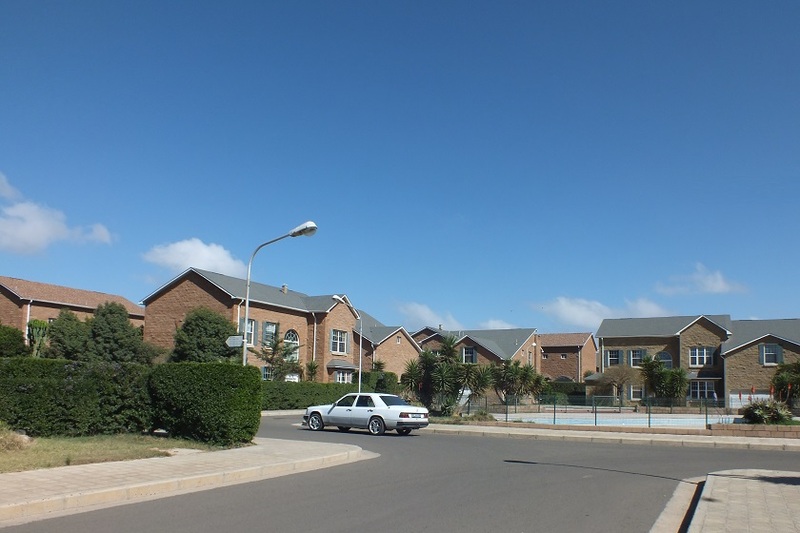 Shops and apartments - Ringroad Kahawta Asmara Eritrea. Blooming bougainvillaea - 175-15 Street Asmara Eritrea. 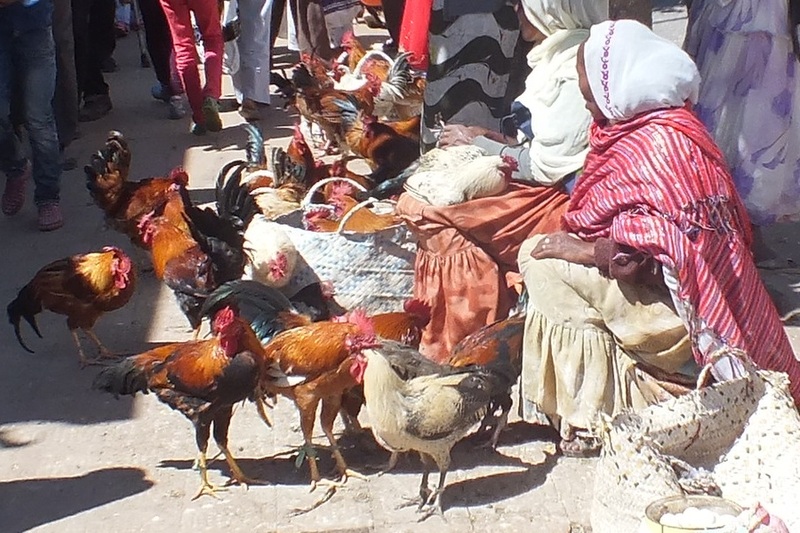 Chicken market scene - Adi Keyh Street Asmara Eritrea. Massawa bus terminal - Edaga Hamus Asmara Eritrea. 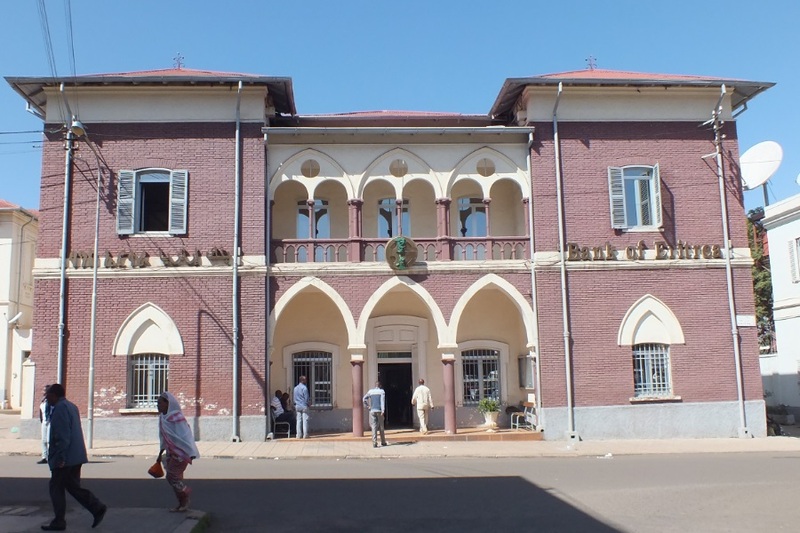 Bank of Eritrea - Nakfa Avenue Asmara Eritrea. 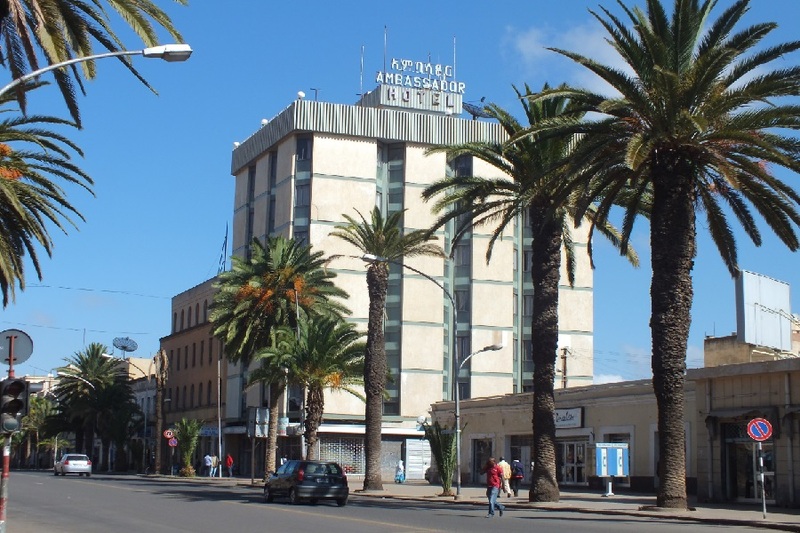 Ambassador Hotel - Harnet Avenue Asmara Eritrea. 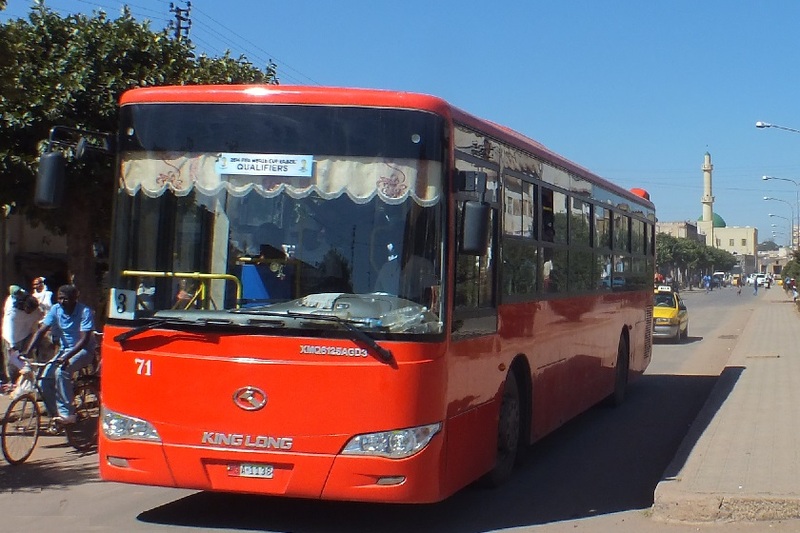 New Chinese PTZM public bus - Afabet Avenue Asmara Eritrea. 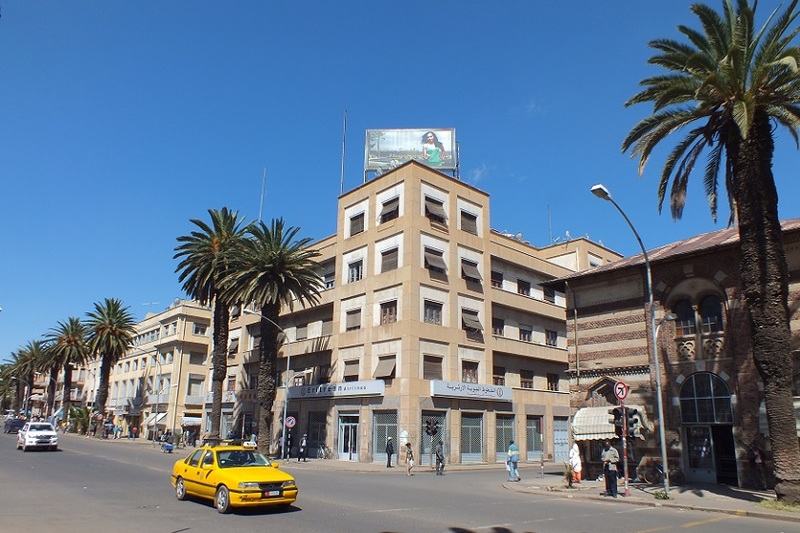 Palazzo Falletta (apartments & offices) - Harnet Avenue Asmara Eritrea.